All of us over a certain age or who live with serious health or disability needs give passing thought to what would happen if we were unable to look after ourselves. Some of us need to think more deeply about this possibility because others rely on our support; advance planning is crucial to ensure ongoing care for them if we can no longer provide it. We hope the following ideas get you thinking, and help to make the process of planning for an uncertain future less daunting! If you support someone else, talk about how living and care options might change if you are incapacitated. If the person you support has severe impairments and is unable to help with future planning, consult with others close to you, and with your solicitor and/or a trustee organisation. An honest exchange of ideas and fears will go a long way to addressing them. This discussion should include anyone who might be involved in future care arrangements. The matter of Welfare Guardianship and Powers of Attorney is especially important. See also here. We should all have Powers of Attorney for property and personal care in case we can no longer make our own arrangements, while Welfare Guardianship is important if you are making financial and support decisions for someone who relies on you. To help you plan for a crisis or emergency, Carers New Zealand has developed a suite of Care Planning Tools, which are available for free download here. The tools have been reviewed by many people who have health or disability needs and by family carers, and will help you capture important information so it can be shared with others in the event of an emergency. Access to this information can ensure uninterrupted care for you and/or someone who relies on you. The tools include a Medications Plan, an Alternate Care Plan, an Important Papers Checklist and (for those supporting someone who needs 24/7 help) an Emergency Carer ID Card. Complete these tools one rainy afternoon this winter and share them with anyone who should have copies. Add extra information or comments if there is not enough space on the pages. Update the tools any time important details change. The Alternate Care Plan provides a ready source of information for anyone taking over from you in an emergency. Keep it somewhere accessible (maybe stuck to the front of the fridge, for example) so that emergency personnel and supporters know how to help someone who relies on you if you are incapacitated. It’s a good idea to share copies of this plan and some of the other tools with people you trust, so they can review the information and ask questions before there is ever a crisis. As we get older, living arrangements may need to change. With advancing years, we may be less able to provide intensive support to others, and may need to move to a retirement village or residential facility to access care services ourselves. When making your own care arrangements, consider which retirement village or residential facility most appeals in your area before a move becomes necessary. 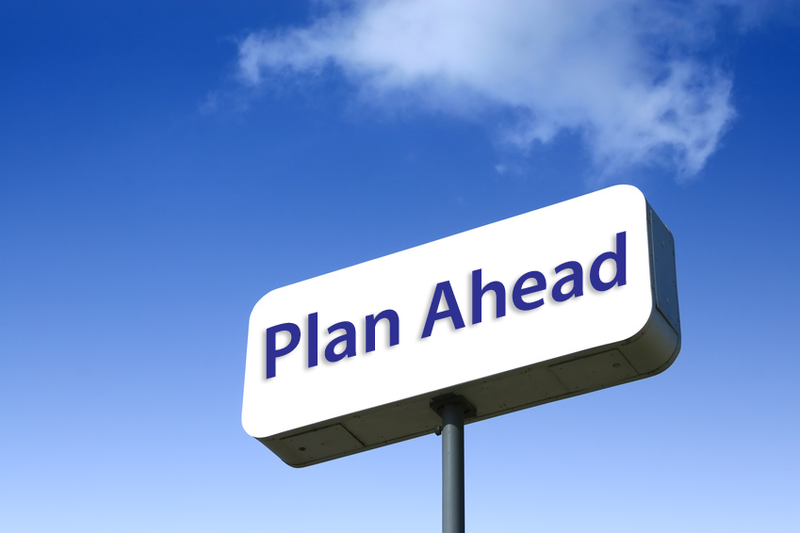 Advance planning will allow you to objectively assess the options, rather than circumstances forcing a hasty decision in the future. Take someone with you on visits to facilities for a ‘second opinion’. Often this rather emotional task is easily put off for a rainy day but, if home is no longer possible, pre-planning will make the transition easier. If you are supporting someone else who will need ongoing care when you can no longer provide it, consider the living options together. Plans may need to change in the future, but the process of reviewing and choosing favourite options will help. You may even decide that living transitions should happen sooner, before an emergency forces a shift of residence for you and/or the person you support. The transition could then be achieved while you are still able to visit each other frequently, while relieving you of support duties you can no longer easily manage. If you are contemplating a move to a residential or care home yourself, and the person you support is older too, you might be able to shift to your preferred establishment together. By doing this, you can easily maintain your relationship while receiving needed support services, and enjoying the companionship of others. Should you die or become very unwell, it will give you peace of mind to know that your loved one will receive ongoing care and won’t face the trauma of a complete change of lifestyle and environment while worrying about or grieving for you. Making plans for when we die is important, too. Your passing would be a distressing and stressful time for everyone, but this can be eased by planning and even perhpas paying for your own funeral. We recommend that you contact your local FDANZ Funeral Director and ask what resources they have to assist you to think about funeral planning. You can find your closest FDANZ funeral director here and check out their website here to see a range of helpful information and articles. Lastly, have you made your will, which includes any special provisions for others who may need ongoing help? If not, now is the time! The Citizens Advice Bureaux offer this information on their website to assist you. The Get Sorted website provides this helpful advice. Or visit your own lawyer.